Let’s build the example app basic_webapp, found in examples/basic_webapp.cpp. 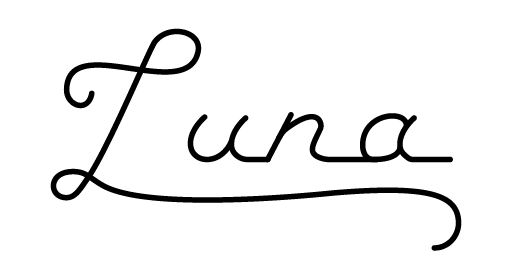 This is a simple example app that demonstrates many of Luna’s features. We’ll learn how to build the app, and add a new endpoint to it. All the code in that app is production ready, so feel free to borrow any of it for your own projects. We’ll cover scaffolding your own project in the next tutorial. Luna requires a few tools to build; if you’re new to C++ you might not have some or all of them on your syste. First, of course, you need a C++ compiler. You’ll also need the CMake build system, and the Conan dependency manager. Clang (a C++ compiler) and CMake are both bundled with Xcode. You don’t need to install all of Xcode, we only need the command line tools. In the future, if you’re looking for a powerful IDE, you can choose to install Xcode, although I personally recommend JetBrains CLion. Conan is a relative newcomer to the C++ world. It works a lot like dependency managers you may have used before, like NPM, PyPI, or RubyGems. The best way to install Conan is with homebrew. Conan is update very frequently, and I strongly recommend you keep it up to date. To install Conan, follow the directions on the Conan site. OK, great you have the tools installed! Let’s build the examples that come with Luna. I assume you’ve got a copy of this repo somewhere handy. Open a terminal window, and cd into the project root directory. First, let’s install all of Luna’s dependencies. The first time you do this, it will take a while. Maybe even a long while. But future runs will go much much faster. The first step is to add the remote host containing Luna to Conan. You’ll only need to do this once, ever. Then install and build the dependencies like this. The additional option at the end also creates the optional Luna examples. A note for users of gcc >= 5: You will need to instruct conan explicitly to use stdc++11 instead of conan’s default stdc++, as Luna uses features from C++14. Rest assured that there are pre-built Docker images that you can use in the future to avoid this long step when it comes time to deploy. We’ll come to that in the next section. Then visit localhost:8443/parameters?foo=bar&baz=qux, and you should see some basic HTML in your browser. In the next section, we’ll look at how the code that drives this page works, so you can start to add your own functionality.